Introduction to the The Power Hammer Cycle : How to Cure the Bang Tap Miss Blues by Dave Manzer. The new AnvilCAM is here to host streaming blacksmithing video including how-to, demonstrations, work in progress, history and forging information. Much of our content is original and will not be found on video sharing sites. Our videos will also include links to articles or their own articles, commentary, still images, drawings and related information. The current introductory content is video we had on hand or was donated, more is coming. Big BLU NC-ABANA Hammer-In featuring Doug Merkel and Anderson Phillips. Step by step basic blacksmithing video demonstrations IN DEVELOPMENT - Coming Soon! Historical and anthropological film clips of traditional methods and ancinet technological processes. Zulu blacksmiths, chain and anchor forging, more coming. . .
A collection of videos from our friends and blacksmithing community. Nippulini, Josh Greenwood, Frank Turley, Oakhill Ironworks, JYH hammers. 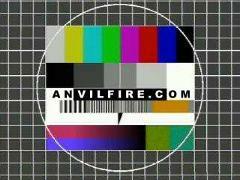 SOON Paw-Paws anvilfire videos! Sample clips from blacksmithing videos we have reviewed, promotional videos. Samples from BigBLU Productions, Phoenix Hammer, Dave Manzer and more. . . Recommended videos with commentary and saftey warnings. Sword tests, historical film, educational videos. Sample clips from blacksmithing videos. . . Recommended videos with commentary and saftey warnings.